Managing organizational IT infrastructure and security is a challenging process for any modern utility. With the convergence of technologies into single utility devices, the challenge of role management becomes more complex. In the case of Computer controlled Autoreclosers such as the NOJA Power OSM Recloser, the Protection, Automation and SCADA configuration is all contained within a single device. This convergence implies that SCADA and Protection Technician staff will be required to work closely to configure a field recloser. When this control issue is compounded with remote Engineering Access, it becomes necessary to develop “Read Only” access roles within the configuration software package. With the new Multiple Access Roles for the CMS Software Package, utility operators can update their policy to allow for read only data retrieval, rather than granting full control for any remote device under Engineering Access. The cost benefit analysis of remote operations data and status from Reclosers is well known. Remote devices may take field teams an entire day to travel and retrieve logs and information from devices. In post-fault analysis, rapid analysis is important to ensure reliability of the electricity network. Remote engineering access, that is, the ability to remotely log in to Reclosers in the field from the office, is of significant economic advantage. However, when remote access is available, some utilities would prefer that no settings changes of remote devices are possible, providing security against accidental device misconfiguration but still providing economic benefit. This is where read-only access becomes necessary. To deploy a Read Only engineering access platform for NOJA Power Reclosers in a utility network, utility IT teams can virtualize a single instance of NOJA Power’s CMS software at a central location, with a single Read Only Logon. With this logon, Utility Engineers can safely retrieve data from a device in the field without risk of misconfiguration. 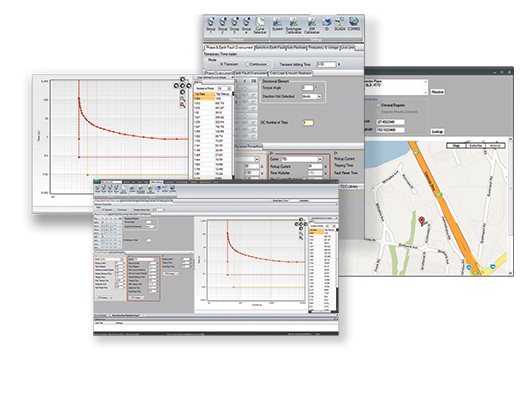 NOJA Power’s CMS software is a continually evolving platform which allows for configuration and monitoring of NOJA Power OSM Reclosers in the field. This software package allows for an IP connection to remote devices, providing utilities with equivalent functionality to a local connection to the OSM Recloser. With the new Read Only Access capability, Utility Operators can evolve their IT solutions to provide risk-mitigated engineering access – an ideal compromise between cost effectiveness and network security.